Anyone can get into financial difficulty involuntarily. The employees of DATRON AG, who receive such a blow, can now expect less bureaucratic help - from their own colleagues. 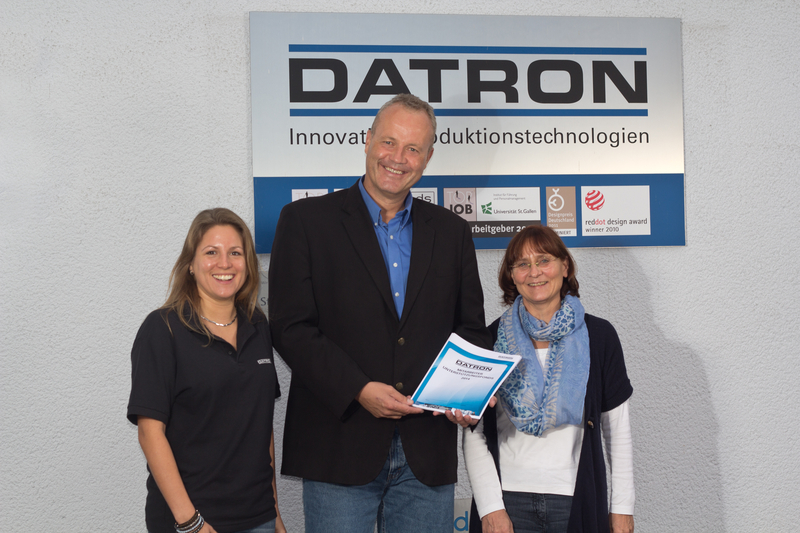 DATRON AG has recently established an aid fund to quickly provide assistance in cases of financial distress - an effective aid and a sign of solidarity among the staff of the Muehltal based machine engineering specialist. With the Employee Aid Fund, DATRON staff who are in financial need due to unforeseen circumstances, are alleviated in difficult situations, especially when insurances after damage or fire do not (yet) pay. As a medium-sized employer in the region DATRON supported the initiative with great enthusiasm. "We appreciate the solidarity among our staff, which is made even more evident by the positive response," says CEO Dr. Arne Brüsch. "The aid fund is now another important element in our CSR portfolio, locally and beyond the region identifies us as a socially responsible company. The new employee aid fund not only is supposed to help quickly, but also to strengthen the existing team-spirit among staff." Under the leadership of DATRON personnel management, the company on September 1, 2014 established the DATRON Aid Fund, which continues a long-lived solidarity among the company's staff and beyond: "With the establishment of the Aid Fund our DATRON spirit of helping each other receives a permanent and official foothold in the consciousness of our colleagues, "says Martina Fluche, personnel manager and co-founder of the fund. "The company's contribution consists in a support payment for employees who, through no fault of their own are in financial need. 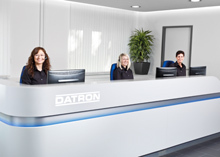 For now more than half of the 200 DATRON employees pay 1 Euro monthly from their salary's net. DATRON AG chips in the total of all engaged staff, in addition. "Our colleagues in cooperation with the company, thus have spread a private social net designed to absorb the distress of specific colleagues. Participation in the employee aid fund is of course voluntary for the DATRON employees. Nevertheless, the management team hopes to encourage a growing participation. The more DATRON colleagues participate in the fund, the greater the opportunities to efficiently help in financial emergencies.